Clear all jellies and reach 30000 points to complete the level. This level has easy difficulty and you need to use few steps to complete this level. 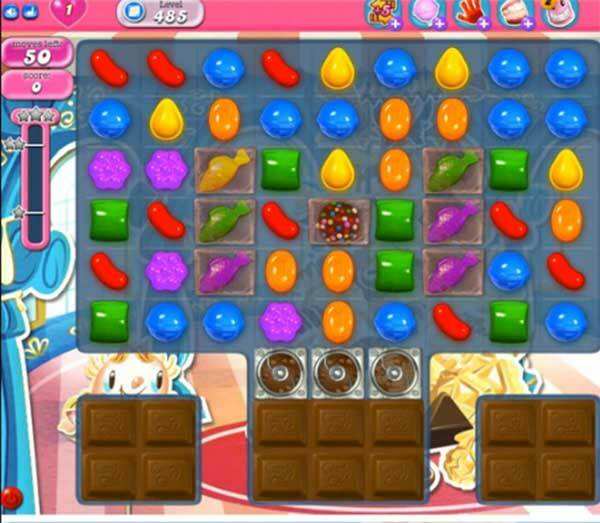 For this level you should try to break the chocolates by making striped candy with colorbomb combo or use fish with colorbomb. After try to play near to jellies on center or make striped candy combo for corner jellies to reach the requirement easily.